Be the first to share your favorite memory, photo or story of Charles E.. This memorial page is dedicated for family, friends and future generations to celebrate the life of their loved one. 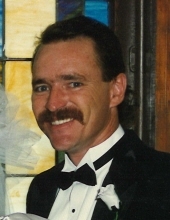 Mr. Charles E. “Chuck” Jones, age 64 of Carrollton, Georgia, passed away on Thursday, March 21, 2019 at his residence. He was born August 5, 1954 in Colquitt County, Georgia, the son of the late D. W. Jones and the late Peggy Carlton Jones. He was a retired welding fabricator with Bell Enterprise. In addition to his parents, he was preceded in death by a granddaughter, Jessica Lee. Survivors include his children: Shelley (Jody) Lee of Carrollton, Peggy (Chris) Brown of Roopville, and Cassidy Jones of Dallas; sister, Tamara (Butch) Walker of Franklin; six grandchildren; and niece and nephew, Kerry Brown and Greg Walker. A memorial service will be conducted Monday, March 25, 2019 at 2:00 PM from Martin & Hightower Heritage Chapel with Bro. Kelly Runels and Mr. Rusty Caldwell officiating. The family will receive friends at the funeral home on Sunday, March 24, 2019 from 5:00 PM until 8:00 PM. In keeping with the family’s wishes, the body will be cremated. In lieu of flowers, memorial contributions may be made to the Jessica Lee Foundation at www.jessicaleefoundation.org. Messages of condolence may be sent to the family at www.martin-hightower.com. Martin & Hightower Heritage Chapel has charge of the arrangements. To send flowers or a remembrance gift to the family of Charles E. "Chuck" Jones, please visit our Tribute Store. "Email Address" would like to share the life celebration of Charles E. "Chuck" Jones. Click on the "link" to go to share a favorite memory or leave a condolence message for the family.